What does the Cloaked Ascendancy hold for us? 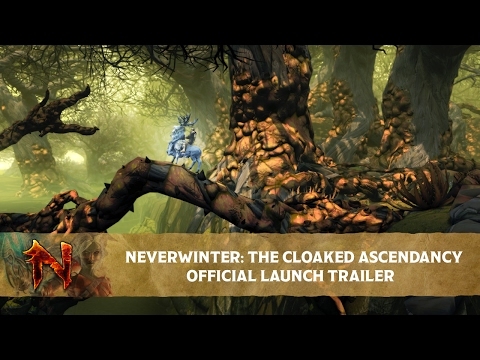 The new 11th expansion for Neverwinter was released on February 21st of this year and expectations are high to see what’s in store for adventurers. Let’s take a look at the top draws for the new expansion and see what we have in store for us. The new adventure zone is situated in the River District. This section is the new starting zone after the interruption of the fallen hero’s memorial. Adventurers must be ready to defend the River District. This new section of the game is all about the choices you make and how you want to play the game. The campaign section allows you to skip large chunks of it if that’s your thing. There’s also new weapons and trading sections so you can get straight into that once you start. You can either shop for weapons in the two campaign section or you can save for the progression of your campaign. It’s all up to you and how you want to progress in the game. With an old dungeon brought back in an all-new refurbished way, it will draw adventurers in to see what’s new and if there are any new items to grab along the way. There is also a leveling version of this dungeon making it much easier for new characters to get up to speed. There’s also a new skirmish called ‘The Illusionists Gambit’. This skirmish is completely different to any other skirmish you’ve seen. The ending and playing of the skirmish can result differently each time you play it thus coming to a different outcome. This makes it much more interesting than the usual skirmish runs that adventurers do. Lockbox – What will you get? While not many people go for lockboxes because let’s just be honest, they cost way too much just for the chance of getting something valuable. I’ve only gotten one rare item in the four years I’ve played. However, for those that go for the lockboxes whether for personal use or to sell, there’s lots to look forward to when opening. This includes the Arcane Whirlwinds legendary mount, artefact equipment, costumes, new companions, etc. The list goes on and we all know with new expansions come new mounts, enchantments and companions so go out there and see what’s new! A Nord and Trickster Rogue at heart, Jade delves into the gaming and movie world with a blade kept close. Jade travels dangerous places to return to Protector's Enclave with words of hope.